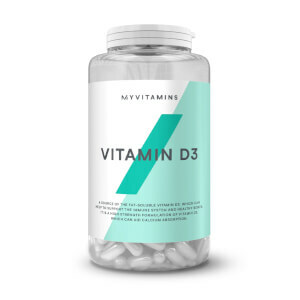 myvitamins Vitamin D3 is a premium source of an essential D vitamin to support your general health and wellbeing. 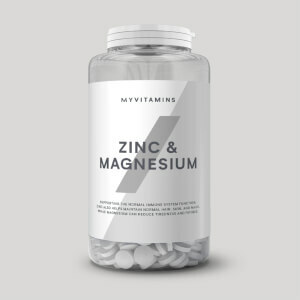 Known as the ‘sunshine vitamin’, our skin naturally produces vitamin D after being exposed to sunlight. In the winter, or during periods of little sun, our body stops producing it and our stores drop. If we don’t produce enough vitamin D, our bones and general wellbeing can suffer. 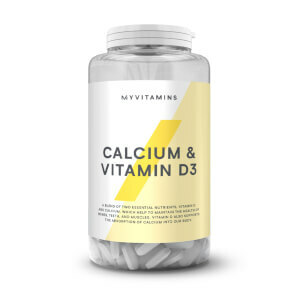 Our Vitamin D3 tablets contain a high strength source of one vitamin D compound to help support your natural levels. What Works Well With Vitamin D3 Softgels? Vitamin D can support the absorption of calcium to support our bones. For extra support for your bones and joints, try taking Turmeric too, which is a popular joint supplement. Just take one softgel a day for best results. Olive Oil, Softgel (Gelatin, Glycerine), Vitamin D.